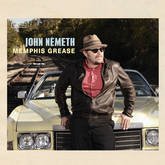 March 25th is the much anticipated release date of singer and harmonica player John Nemeth’s eighth album, Memphis Grease. It will be his first studio album in four years and his debut on Blue Corn Music. The CD was recorded in Scott Bomar’s Electaphonic Studios in Memphis. John was backed by Bomar and his band the Bo-Keys. 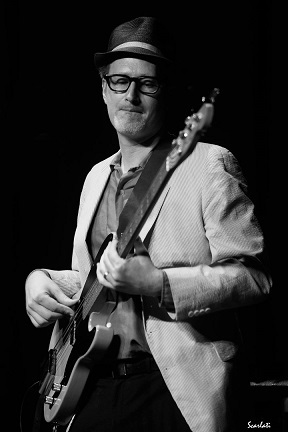 As Nemeth, Bomar and his band the Bo-Keys are about to embark on a west coast tour, I thought it would be a great time to introduce our readers to Scott Bomar. 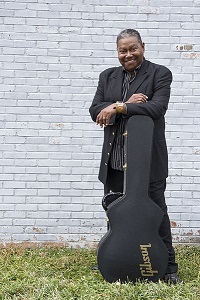 He is the link between the Memphis bluesy, greasy soul music of the 60’s and 70’s and the present. David Mac (DM): You were born in 1974, just at the tail end of the great era of Memphis music and into the age of disco, glam rock and the music video boom of the 1980’s, yet you seem to have found great music in spite of these popular fads. Scott Bomar (SB): Being from and growing up in Memphis it is hard not to be exposed to great music. There are so many great musicians and so much great music everywhere here. My mother had a really great record collection. She had a lot of Memphis records including stuff by Carla and Rufus Thomas. She had some Ray Charles and early James Brown on the King label. Going through her records is what really got to me early on. In Memphis you just have so much blues, country, rockabilly and soul music. It’s just a real good mix. There were so many players that I would see around town who performed regularly. I saw Rufus Thomas. There was a jazz trio that played all over called Fred Ford and Honeymoon Garner. They would play regularly on Beale Street. He was a great sax player who was a session guy for Duke Records. At an early age I got to hear Booker T. and the M.G.s live which left a huge impression on me. DM: Let’s talk about your early experiences in the recording studio as well as your training and development. SB: At a fairly early age I started hanging out in recording studios trying to learn everything I could. Eventually I ended up at the Royal Studios working with the Mitchell family. I learned a lot from Willie Mitchell. 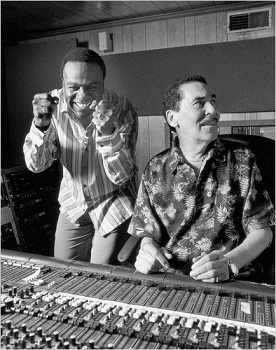 DM: Willie Mitchell was one of the most important figures in Memphis soul music as a producer and arranger. He worked with so many significant artists, perhaps most famously Al Green. SB: That’s right. I always wanted to make a record with Willie Mitchell. I had done some session work playing bass over there at his Royal Studios. In 2004, we made our first album in that studio called The Royal Sessions. By the time we were finished Willie said that he wanted to do an Al Green album in a couple of months and he would like me to help him with it. He made me an assistant engineer. It was just amazing to me that he would ask me to work on the record. It was a once in a lifetime experience. He asked Skip Pitts, who was our guitar player, to play. It meant so much to be a part of that, but since we have lost Willie and Skip, who were both mentors to me, it means even more. I learned so much. It was an amazing experience for me to see Willie Mitchell make a record from top to bottom or maybe I should say bottom to top. DM: Let’s talk about that process from bottom to top as you say. SB: Willie would write the song and then he would sit at his desk working out the changes on a little Casio keyboard. Then he worked with a great keyboard player and arranger also out of Memphis named Lester Snell. Then the rhythm section would come in, next they would do the horn parts and finally add strings. It was just an amazing thing to see him work. DM: You mentioned your first album, The Royal Sessions. By that you mean the first Bo-Keys album. Your band sounds like they are an homage to Booker T. and the MGs. Is that a fair assessment? SB: Definitely, from the very beginning we wanted to be like the MG’s and the Mar-keys. When we made that record we were primarily an instrumental band. 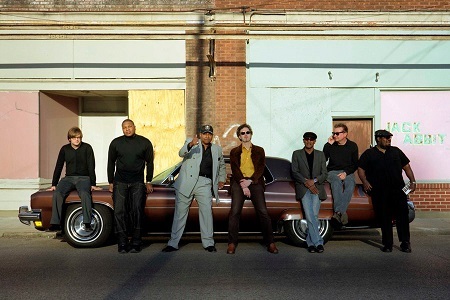 We set out to be a soul instrumental band and also be a backup band for soul singers. DM: It has also been an inter-generational affair where you brought some of the great musicians from the 60’s and 70’s back into the studio to record. Let’s talk about the original guitar player in the Bo-Keys who you mentioned, Skip Pitts. SB: Thanks for bringing that up Dave. He is most known as the guy who plays the guitar with the distinctive wah-wah peddle on Isaac Hayes’ Theme From Shaft. He played on every Isaac Hayes record except Hot Buttered Soul. He played on the Isley Brothers, It’s Your Thing. He was in Wilson Picket’s band The Midnight Movers. He did a lot of work with Little Milton and Albert King. He passed away in May 2011. He is one of the architects of soul and funk guitar and deserves more credit for his contributions. DM: He also played on many of those sessions you mentioned back in the day with your drummer, Willie Hall. SB: That’s right. The famous 16th notes on the hi-hat that you hear in the opening to the Theme from Shaft is Willie. He was born in 1950. So he was a young guy in the late 60’s when he was hanging out at Stax Records. He just wanted to be another Al Jackson. Al taught him some stuff. He got the drum chair in the second incarnation of the Bar-Kays. He also, along with Skip, did a lot of sessions with Little Milton and Albert King. He is probably best known as the drummer with the Blues Brothers Band. He appeared in both their feature films. SB: (laughs) just can’t resist a good segway can you Dave. DM: Apparently not. We will get back to the Bo-Keys in a bit but you have had a parallel career making music for film. Let’s talk about that aspect of your career. SB: When I was getting into music in my teens, I dreamed of not only being a record producer but I dreamed of doing film scores. I always loved movies and always loved music in film. I had a band in the 1990’s called Impala. It was kind of like Link Ray or the Ventures, kind of a 50s or 60’s style instrumental band. Our sound became popular with movie producers and music supervisors. They started using our music in movies and film trailers. That band is how I got my foot in the door. Eventually movie director Craig Brewer told me about a script called Hustle and Flow. The Bo-Keys ended up doing the sound track for that film. I always thought of the score for Hustle and Flow as being a Bo-Keys album. 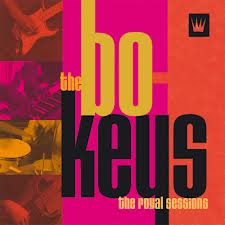 The Bo-Keys went a long time between albums only because we were doing so much movie work. Craig Brewer directed Black Snake Moan which was essentially a blues movie. We did work on that film as well. There is a lot of on screen musical performances in the movie. We also worked on the film Soul Men. There are three songs on the soundtrack that I produced. The Bo-Keys were on those tracks. One of those tunes was nominated for a Grammy. We recently did a song backing vocalist Percy Wiggins that was used in the release of the film Grudge Match starring Robert DeNiro and Sylvester Stallone. DM: WHO? Just kidding...a lot of folks are familiar with your music whether they know it or not. Outside of the movies, the Bo-Keys have continued to back a lot of very talented singers. SB: We have worked with many of my heroes such as Rufus and Carla Thomas, Eddie Floyd, William Bell, Otis Clay, Bill Johnson, a lot of the great soul singers. Our last album, Got to Get Back is about 50% vocal tracks and 50% instrumentals. DM: Let’s talk about some of those experiences working with this talent. SB: The Otis Clay session was very special. It was a real magical session. He has a lot of energy. We worked with William Bell a lot. A little bit in the studio, but we worked with him a lot live. Every show we did with him was great. There is another singer we worked with, John Gary Williams, who was with a group on the Stax label in the 60’s called the Mad Lads. We even did a show with him last fall with the Memphis Symphony. DM: Recently you have been doing a lot of work with Percy Wiggins. SB: Our most recent releases are a series of singles that we released on vinyl as well as digitally. They all feature Percy on vocals. When we tour, he is our featured vocalist. SB: Oh yeah. He has a background singing in church, so he brings that gospel thing to the music. All the way back to high school he was in a group called the Teen Town Singers. They were put together by the famous WDIA radio station here in Memphis. Carla Thomas and Isaac Hayes were also Teen Town Singers. 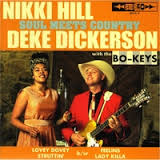 DM: The Bo-Keys backed up Nikki Hill and Deke Dickerson on an EP that came out last year. The four song release entitled Soul Meets Country is marvelous. You go back a ways with Deke. Let’s talk about that. SB: Deke is kind of my West Coast brother. Our careers have kind of intertwined a lot through the years. My old band Impala and his old band Untamed Youth were both on the same record label back in the 90’s. About the time The Royal Sessions came out, we played at this big movie and music festival in Atlanta called Drive-Invasion. Both our bands are house bands at the Ponderosa Stomp down in New Orleans every year. He had this event in Anaheim, California, in conjunction with the NAMM trade show out there called, Deke Dickerson’s Guitar Geek Fest and he had Skip and me perform out there in 2010. Not long after that Deke told me he wanted to come to Memphis and record something together. It was the last record Skip played on before he died. He then told me that he wanted to come back to Memphis and record something, but this time he wanted to record with this singer based in Saint Louis named Nikki Hill. I had been aware of Nikki and actually met her and her husband, Matt, in Saint Louis when they came out to one of our shows there. DM: What was it like working with Nikki? SB: Working with Nikki was just so easy. It felt so natural. DM: You are breaking from tradition in that you put out a lot of singles as opposed to long playing CDs. Why? SB: Because you can keep putting out fresh music all the time. The way the market is now, if you wait too long between albums people forget about you pretty quick. It keeps new music coming out. This is going back in a sense to the way it used to be. Most records might have 50-75% good stuff and the rest filler. So why not just put out your best stuff? Eventually when you get enough good stuff out there then put them all together and put out an album. That is kind of what we are doing. DM: However you do have a full long playing CD coming out on March 25th where the Bo-Keys back John Nemeth. It is called Memphis Grease on Blue Corn Music. 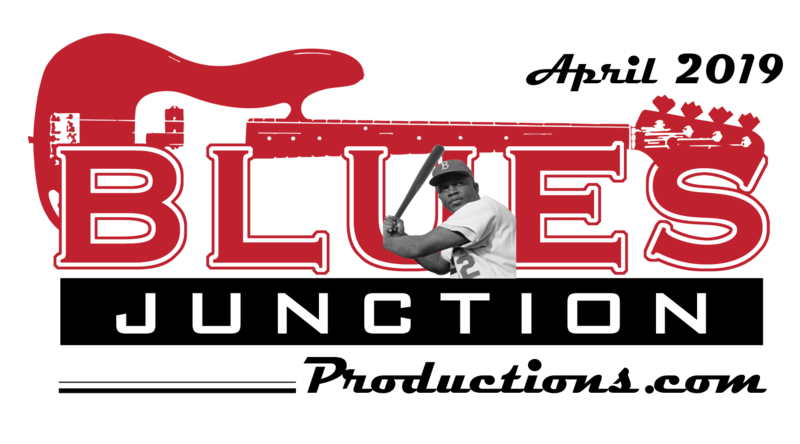 Let’s talk about John and how this association came about. SB: I had heard John on the radio. There is a real cool community radio station here in Memphis called WEVL FM 90. The first time I heard him, I was real impressed. I thought this guy can sing and really blow the harp. He has such a classic and timeless sound. The first time I heard him I couldn’t tell if this was a new record or an old one. DM: That is a very good thing. SB: Absolutely! I know this publicist out of New York named Nick Loss-Eaton. He has done some work with the Bo-Keys. He called me one day and said “I think you ought to hook up with this guy named John Nemeth. I think your sound and his would be a real good match.” He introduced us. As it just so happened, John was on tour and was coming through Memphis. Also John’s drummer at the time, Joe Meyer, had worked with Nikki who we just got through recording with. So there was a connection there too. John came into the studio and we just hit it off immediately. We hung out all afternoon with him and his band. Then he told me he was actually thinking about moving to Memphis. Anyway we stayed in touch. John then moved to Memphis and the next day he came into the studio and we made the record. DM: You guys will be out here in California touring in March. SB: That’s right our first date is March 14th at Yoshi’s in San Francisco. We will be traveling not only with John, but Percy as well. DM: It has just been announced that John Nemeth and the Bo-Keys will be playing the huge Doheny Blues Festival in Dana Point, California, this May. Congratulations! SB: Thank you. We are very excited about our California shows. I’ll see you when we get out there Dave. DM: I look forward to that. Take care.